The music of Black Sabbath has often been defined by two different vocalist eras. The albums featuring the vocals of Ozzy Osbourne and Ronnie James Dio still stand as a collection of mostly brilliant moments in the early years of heavy metal. There is so much more to Sabbath than those incredible eras. Even though the other albums in the Sabbath catalog may not have the sales figures or be as impressive to fans and critics, each of the other albums which are defined as Black Sabbath records tell a series of stories lyrically, musically and with life in general. When Ian Gillan was brought into the band for Born Again it was a bizarre move based on some crazy management suggestions. The resulting record was a very slick and over-produced affair. It still managed to generate a fair bit of interest that would allow the band to go out on tour. Hearing Gillan perform the songs from this record as well as old Sabbath favourites is certainly interesting. There are a number of audio and video clips available online where you can get a sense of where Gillan may have felt uncomfortable. The songs on Born Again are quite good though. Gillan’s voice was certainly suited for the songs that were written. Original drummer Bill Ward returned for this record but would leave almost immediately upon the record’s completion. After the departure of Ian Gillan from Sabbath it is safe to say that it was a time of turmoil for the Black Sabbath name. Tony would continue to write material and take the musical direction wherever he felt like taking it. Geezer Butler had stuck around then moved on and here was Tony working with a revolving door of musicians. The lineup changes in the band are just so many to mention that it would take a significant amount of more reading just to cover it all. It still provides some interesting insight into who was coming in and out the door. For Seventh Star, which was supposed to be a Tony Iommi solo record, Glenn Hughes came into the band on vocals. While the songs are quite strong and range from borderline pop balladry to heavy and hard-hitting uptempo forays, the album clearly lacked focus and direction. Hughes was battling significant substance abuse problems at the time so his voice was not up to par as it is now. The Eternal Idol would mark another vocalist era in Sabbath which is now largely being ignored. The album was originally recorded with the incredible Ray Gillen singing lead vocals. The album’s full recording with Ray Gillen has since been released and is a great listen. It is incredible to listen to this version then listen to the released album version with Tony Martin. You can easily see how different they were as singers and how well they each fit into the songs that made the record. It is Tony Martin whose name is worthy of mentioning as part of another era of Black Sabbath. Martin’s strong power-metal voice has unfairly drawn criticism and accusations of being a copy of Ronnie James Dio. He definitely has a strong singing ability which delivered fairly good results on most of the albums. When Iommi would take Martin back into the studio to record the follow-up album Headless Cross, it would be the first time Martin would be contributing as a songwriter. Much of Martin’s lyrical chops were very much about storytelling possibly out of the necessity to write words to sing. I found that even if I could not understand his lyrics, whatever he was singing on this record fit well with the music. This was more relevant after the release of Tyr. This record had a theme of some Norse mythology throughout it with the occasional piece about something more understandable to mainstream audiences. When Martin returned to the Sabbath fold after the Dehumanizer tour where Dio left, they completed what is my favourite record of the Martin era Sabbath. 1994’s Cross Purposes. The album comes across as very polished from a production standpoint but it lays out some interesting musical structures overall. Of note on this record is Cross of Thorns which was based on a phrase that Tony Martin had picked up in a local bar during his travels to war-torn Bosnia-Herzegovina. His first-hand view of the state of affairs over there was the basis for a great lyric. The final studio record in the Martin era was called Forbidden. This album stands as one of the weakest entries in the entire Sabbath story. It features some strong riffs from Tony Iommi that are catchy and at times heavy. It suffers from a feeling of tiredness all around. Tony Martin’s voice at times sounds completely out of gas. The album grew on me just the same and is still worth a spin every now and again just to hear those great guitar riffs. One could write an entire encyclopedia collection worth of thoughts and perspectives on all things Black Sabbath. No matter what era and album a fan prefers. No matter what the opinions of the people are. They are the most important band in heavy metal history. Having defined the genre of metal, several sub-genres of metal to come afterwards, and redefined culture, their impact is ever-lasting and will carry over into future generations of metal and rock musicians alike. 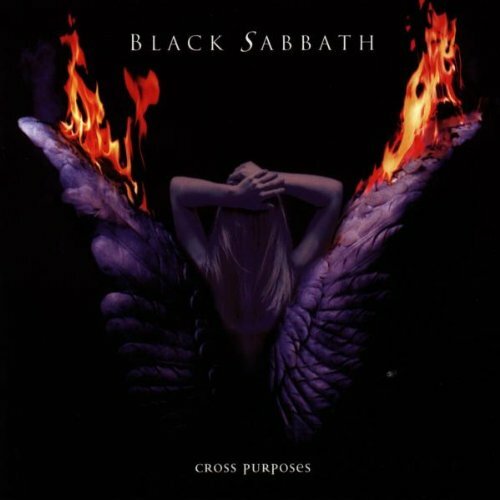 Posted in Notes from the Frogpond.Tagged album, Black Sabbath, Born Again, Cross Purposes, Dio, Forbidden, Ian Gillan, musicians, record, Sabbath, The Eternal Idol, Tony Iommi, Tony Martin.